The professional tax in Telangana is applicable under the provisions of Telangana professional tax act 1987. 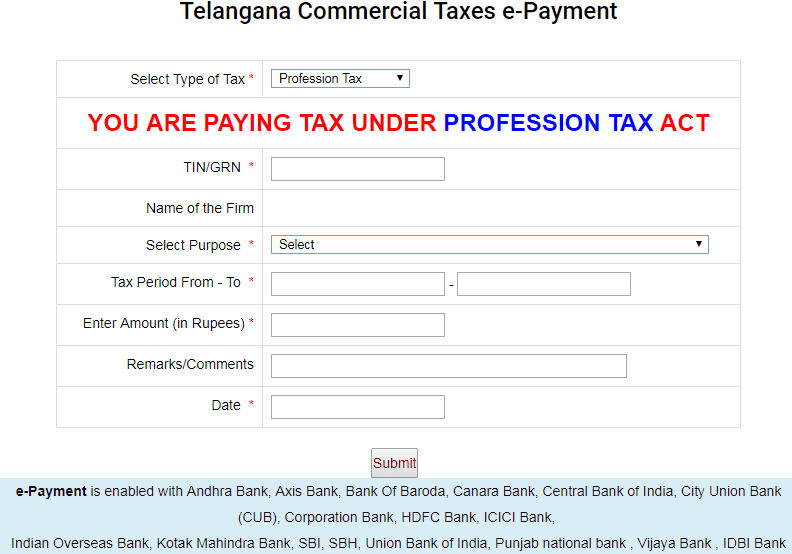 Here are the latest Telangana professional tax slab rates as per the Telangana tax on profession, trades, callings and employment act 1987 for the year 2019 and also find due date for payment of professional tax in Telangana. Telangana professional tax slab rates are applicable to both salaried employees and self-employed persons, but rates and tenure will vary. Professional tax slab rates of self-employed persons, business owners and contractors. Telangana professional tax due date is 10th of every following month. Establishments which are employing more than 20 employees need to pay professional tax on or before 10th of every following month. The due date for the payment of professional tax in Telangana for establishments with 20 or less than 20 employees is 15th of every following quarter. In general, the professional tax will be deducted every month from the salaries of the employees and the employer will pay the collected PT amounts. Employers and self-employed persons can pay the professional tax returns online at Telangana commercial taxes portal by using their TIN or GRN number.